Director: Dombrovskij K., Astafjev V., Virubov V.
1. 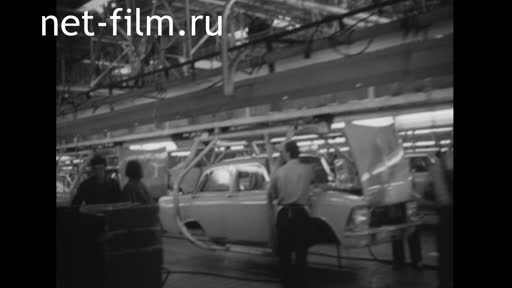 From "AMO" to "KAMAZ" (cars of the plant "AMO", "ZIL", "Moskvich", "GAZ" construction of the plant for the production of trucks KAMAZ). 2. "Memory cells" (selection of tobacco). 3. "The first multi-shuttle" (weaving factory). 4. From the foreign chronicle: covering the track with snow for ski jumping from a springboard in Czechoslovakia; Applying polymer coating instead of snow on the ski track in England.